Vanuatu is one of the world’s least developed countries. Majority of Vanuatu’s population live in rural areas and remote islands, where they don’t easily get an education, healthcare, or earn an income. Women and girls are especially disadvantaged. 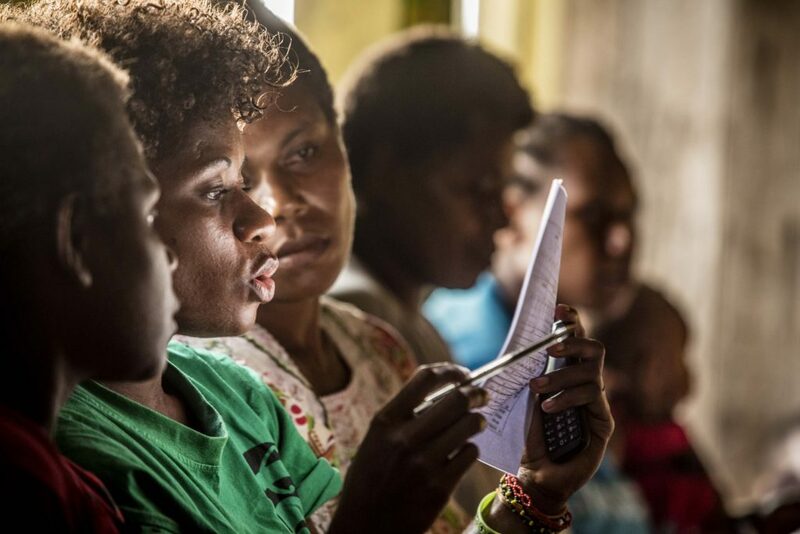 In Vanuatu, women are mostly prevented from making decisions about their own lives, home and community. They also face terrible rates of violence and abuse since birth. Girls miss out on opportunities to finish school and play leadership roles in their communities. CARE works with girls, their families and communities to give girls more opportunities and keep them safe. CARE’s project Leftemap Sista (meaning ‘lifting up our women and girls’) has a goal to help girls live without the constant fear of violence, earn an income and make decisions about their own lives. The project is operating in the provinces of Tafea and Shefa in Vanuatu. 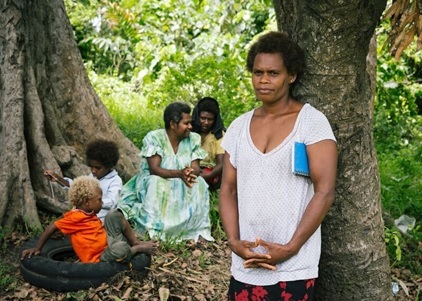 60% of all women in Vanuatu have experienced physical or sexual abuse. 31% of women nationally and 46% of women in CARE’s project areas reported being sexually abused under the age of 15. 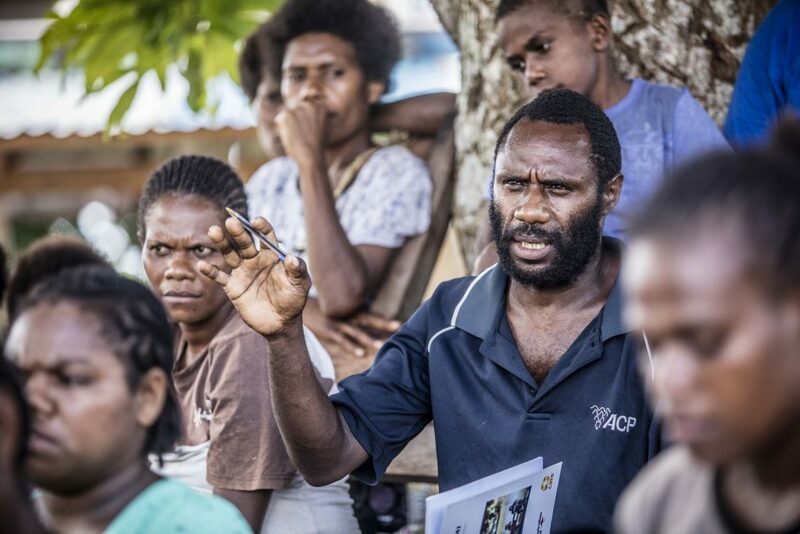 After the Tropical Cyclone Pam hit Vanuatu in 2015, violence against women and girls increased three times. Vanuatu has the highest rate of child marriage in the Pacific. 9% of girls are married before the age of 15 and 27% are married before they turn 18. “Leftemap Sista” – Women and Girls Empowerment Program of CARE started in 2014. 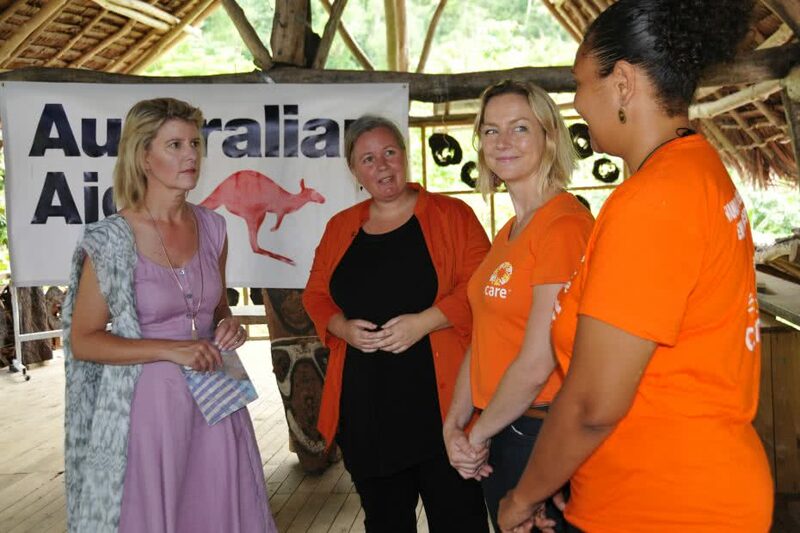 Major partners: This project has been made possible thanks to generous contributions and ongoing support from the Australian Government through the Australian NGO Cooperation Program (ANCP), the Department of Women’s Affairs (Government of Vanuatu), national NGOs and civil society organizations. Major location: Taefa and Shefa provinces, Vanuatu. The goal of the Leftemap Sista Project is for women and girls to feel safe, valued and respected so that they can get out of poverty. Women and girls are receiving the support and tools they need to earn an income, make decisions about their own lives, develop leadership skills and be free from violence. The project has a special focus on young single mothers, girls who have not finished school, survivors of violence and women living with a disability. Men, boys, community leaders, services and local government are also made a part of these changes. Through the project, women are receiving seeds, tools and training to grow food and earn an income. Our training and awareness sessions promote leadership of women in families and communities. Our workshops for young women and men focus on building healthy relationships and making men accountable for preventing violence. In 2015, the Tropical Cyclone Pam highlighted the additional risks of violence women and girls face in emergency situations. We are working to improve services for young women and survivors of violence, including counselling, healthcare and justice, especially during emergencies. The next phase of our project is designed to directly tackle the link between poverty, natural disasters and violence against women. We want girls to finish school even if they marry, become pregnant or have children. We want communities to understand the importance of school for girls and delaying their marriage. We want to help women to have sufficient food and earn an income, especially after natural disasters. We want the rate of violence against girls under 15 to go down substantially from the national rate. We want men, women, girls and boys to change their attitudes and behaviour towards violence. 200 girls, 74 women, 47 boys and 13 men have participated in our life skills training across five communities. These training sessions also include topics such as violence against women. Forty-six women and eight men are working in their communities as qualified life skills trainers. Doctors and healthcare providers have participated in life skills programs for girls in four islands of Tafea Province. Police are also contributing to the sessions on justice issues. The Police Department in Tafea Province now has female police officers who can easily respond to requests from women and girls if they face violence. We have helped set up 62 Seed Banks and Tool Banks only for female farmers. We are also helping small enterprises to grow under female leadership. Lokaim village now has a profitable chicken and egg business. We want families to see girls as economic powerhouses who should stay in school and marry after they turn 18. We want to involve the local Government more in empowering girls between the age of 12 and 20. We want policy makers to develop policies that keep girls at the centre and help them earn more and gain more respect in their community. We want to help create pathways for girls to participate in economic and essential services after they finish our training on life-skills. We want women and girls of Vanuatu be healthier and free from violence, especially after natural disasters. 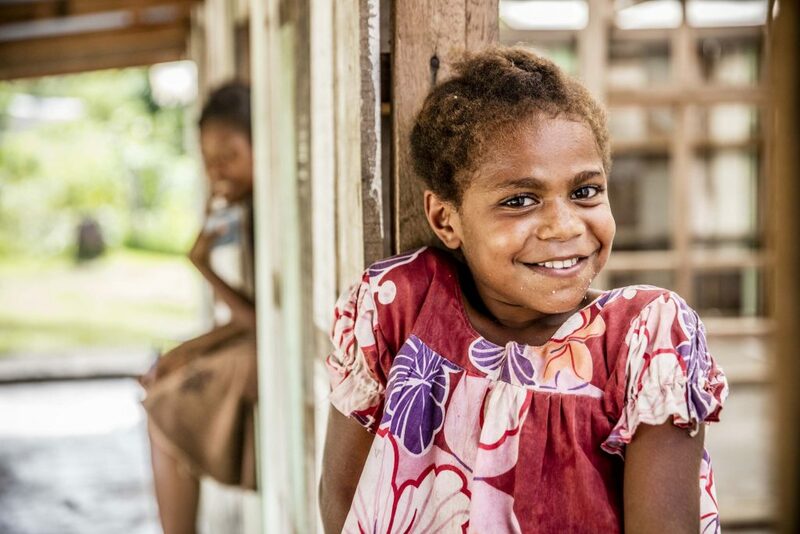 Selina, growing up in the southern island of Tanna, Vanuatu, had done well in school. Her family could not afford the Year 10 exam fee, and she dropped out of school like most girls in her community. By the time she was 31, Selina had five children, but little else. Selina lost her sense of self. “I was sure that I would never do anything with my life…I hadn’t finished school, what could I do?”, says she. The life-skills training of CARE changed Selina’s life more than she had imagined. Just a few months after the training, Tropical Cyclone Pam hit Tanna. Selina became a member of the committee set up with the help of CARE. She participated actively to lead the community recover from the disaster. She was also a member of the women’s group that worked together to earn an income through farming and business management. Now the women’s group is growing peanuts after negotiating use of community land. Selina has developed a small snacks business—she sells sweet potato and banana chips. She is sharing what she has learned with other women and encouraging them to start small businesses of their own. 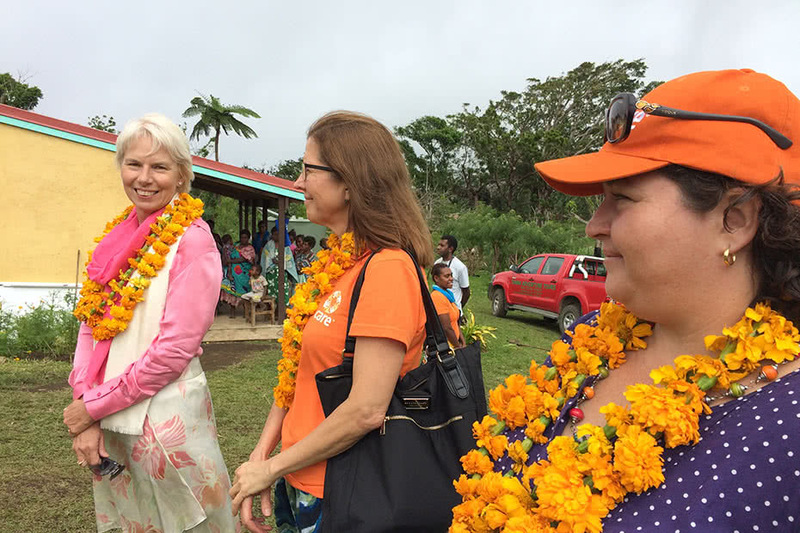 Earlier this year former Westpac CEO and current CARE Women’s Empowerment Ambassador Gail Kelly visited some of our projects supporting women and girls in Vanuatu. Here, she recalls how meeting a young woman named Lily helped cement her belief that a better tomorrow begins with empowering women today. Do you want to know what our research says about including women’s voice while preparing for a disaster? Read our report on Disaster Risk Reduction, based on our experience in Vanuatu. An excerpt is available here. 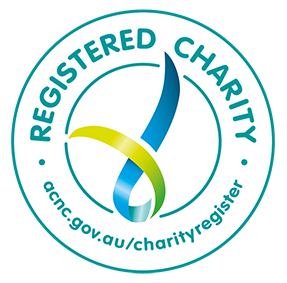 CARE Australia is accredited by the Australian Department of Foreign Affairs and Trade (DFAT), responsible for managing the Australian Government’s aid program. CARE Australia receives support for this project through the Australian NGO Cooperation Program (ANCP).